One of the most popular ways to make money online is by signing up for an affiliate marketing program to sell affiliate products. An online retailer or business pays you a commission every time someone you refer through a link makes a purchase. However, putting that simple idea, into practice can seem daunting. Especially, if you don’t own a high traffic website with an editorial team helping you! So, how exactly do you go about generating all of that referral traffic and sell affiliate products to make money? To generate traffic, you have to create great content on a regular basis. Creating awesome content takes a lot of work. There are a ton of SEO rules and suggestions you have to follow to attract the attention of search engines like Google. Often it takes months of work until your traffic reaches a level where you’ll actually generate enough referral traffic to make your efforts pay off. The good news is, there is a new way to jump-start your affiliate marketing and make money faster. Affiliate marketers tell us that elink.io is the easiest way sell affiliate products. The platform allows you to create a beautiful Google friendly web page in minutes by just adding web links! With elink.io, you’re able to transform boring product links into highly visual web pages. The user will actually make a purchase when they visit the affiliate site. elink.io is truly an affiliate marketer’s dream! 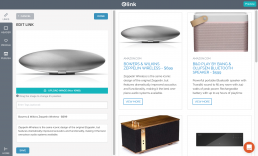 Simply, grab the affiliate links of the products you’re recommending and drop them into elink.io’s webpage builder. elink.io automatically fetches an image, title, and description for each one. You can customize any of those fields by adding your personal touch. 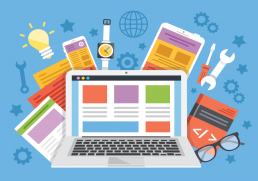 Create a beautiful SEO friendly product page in minutes! The best part is that that page can be shared with a single web URL (it’s SEO friendly), embedded on a blog, or exported as an email newsletter to sell affiliate products. How to set up an affiliate product page and make money without having to deal with a lengthy content creation process! Choose a template that would best represent your product page. Don’t worry if you change your mind later. You can go back and switch templates anytime, even after your elink.io product page has been published! Start adding the affiliate links of products that fit your content piece. Make sure the images looks the way they should by moving them to the location that best fits the frame. Upload an image and replace it if necessary. Personalize your title and description by adding pertinent information to help your audience make a buying decision. We recommend using Header 1 because you’ll be able to add as much intro text as you would like. That intro text is a great way to build authority, get your audience engaged with your content and it’s great from an SEO perspective. PRO TIP: Spend time on the meta title to help your page rank higher in Google Search. Step 5: Add your personal profile, along with your social media links. Customize and add your personal profile to share your social media and website details with your audience. It’s a great way to continue increasing your social following and create authority with your product recommendations. Make sure to keep your elink search engine friendly and then publish your elink. You’ll receive a direct web URL that you can start sharing within social media. With elink you have the ability to help your audience purchase only the best items to meet their needs. Once you’re elink is published, you’ll come to your dashboard where you can see your elink URL. Click your published elink URL to view your web page! ‘Saving’ the best part for last! You can share your elink web page via social media. For example, if you run a Twitter account, you could send out regular tweets with a link to your elink webpages. Users who click on those link would then see visuals of recommended products for sale. If they click through to the affiliate marketing website and make a purchase, then you’ll collect a commission. 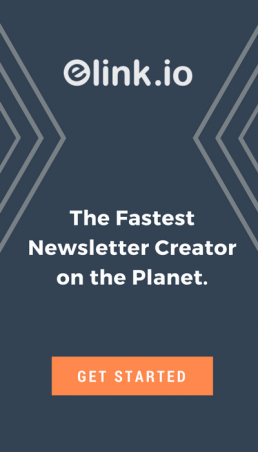 With this approach, you could export your new affiliate product pages as a newsletter to email subscribers. When your audience opens up the newsletter and clicks on the link, they would then be sent to the webpage of the affiliate. If they make a purchase, then you would be rewarded for the purchase with a commission. You can also embed any of these stunning pages on any website or blog by adding an iframe embed code. This is the exact same way you add YouTube videos to your blog or website. 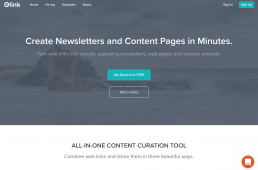 You can quickly add content to your website/blog with every elink.io affiliate marketing product page you create. By using elink to turn affiliate links into visual product pages it’s finally possible to generate some pretty impressive results from affiliate marketing and a great way to add some extra money in your pocket! Have you tried elink.io for affiliate marketing? Do you have any additional affiliate marketing tips or comments you would like to add? Comment below! PS: If you are using Instagram to sell your affiliate products, you will love our Instagram bio hack which can be used to sell more products without having to change the bio link every time! Thanks for sharing. This is worth looking into.great tips. Thanks for sharing. Useful info! What an interesting tool! Thanks for the great explanation of it. Now does it host all the sites your create or do you have to link it to your blog somehow? Thanks so much! All of the web pages you create are hosted on elink and ran as independent single web pages. If you want to embed the elink onto your blog you can as well (just like you would if you were adding a YouTube video to your website). Elink.io seems like a great and easy solution to affiliate marketing. I’m glad I ran into this guide! when I run into another product I want to promote I will keep this in mind. Thanks for sharing! I’m always looking for more information on how to monetize my blog! Interesting 🙂 Maybe I will check it out myself. Thanks! This is super helpful! I’ll be setting up affiliate links for the first time this week so this was super valuable. Thank you! I use AMAZON for affiliate marketing. Never heard of this one – I shall check it out! Wow great, as a new affiliate marketer I will definitely follow the way you have described here. I am bookmarking the post so that I can come back again. Happy affiliate marketing. im a affiliate myself, defitly will try to use this tool, thanks man.